R&B diva Thelma Houston rose to fame in 1977 with the hit single "Don't Leave Me This Way," but she enjoyed a distinguished career as a performer and recording artist both before and after her signature tune hit the charts. She was born Thelma Jackson in Leland, Mississippi on May 7, 1946. Her mother worked picking cotton to help support Thelma and her three sisters before the family moved to Long Beach, California, where Thelma spent most of her childhood. By the time she was in her early teens, Thelma had discovered her passion for music, and was regularly singing in church and at school assemblies. Before she was 20, Thelma had married, had two children, and divorced, but in 1966 she landed a gig with a gospel group, the Art Reynolds Singers. She made her recording debut with their single "I Won't Be Back" b/w "Glory, Glory Hallelujah," with Thelma taking the lead on the A-side. In 1969, Houston moved into secular music as she signed a deal as a solo artist with Dunhill Records, which released her debut album, Sunshower, that year. Sunshower was produced by star songwriter Jimmy Webb, who also wrote all the songs except for a cover of the Rolling Stones' "Jumpin' Jack Flash." While the album fared well with critics, it was less than a hit, and Dunhill dropped Houston. In 1971, Houston became a regular on a short-lived comedy/variety show starring British comic Marty Feldman, and the following year she landed a new record deal with Motown Records. The company released the album Thelma Houston in 1972; like Sunshower, it was well received but not a major commercial success, and four years would pass before she cut another long-player for the label. (In the interim, Houston cut an album with the group Pressure Cooker, I've Got the Music in Me, for the audiophile Sheffield Lab label.) However, the year 1976 would be a game changer for Houston. Her fourth album, Any Way You Like It, featured her version of Harold Melvin & the Blue Notes' "Don't Leave Me This Way," and the song was popular enough on radio and at dance clubs to rise to number one on the singles charts the following year. The track also earned Houston a gold record and a Grammy Award for Best Female R&B Vocal Performance. The year 1976 also saw the release of the movie The Bingo Long Travelling All-Stars & Motor Kings, a film produced by the Motown organization that included several performances by Houston on the soundtrack. Thelma also sang backup on Jermaine Jackson's solo effort My Name Is Jermaine, which was released the same year. In 1977, Houston issued her follow-up to Any Way You Like It, The Devil in Me, as well as a duet album with fellow R&B veteran Jerry Butler, Thelma & Jerry. 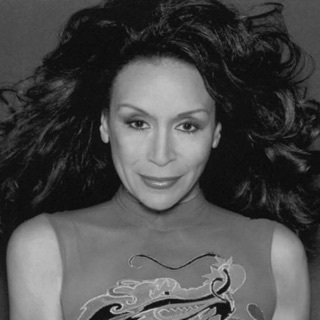 The same year, Houston made her big-screen debut with a supporting role in the exploitation feature Game Show Models that also featured Latin jazz legend Willie Bobo. 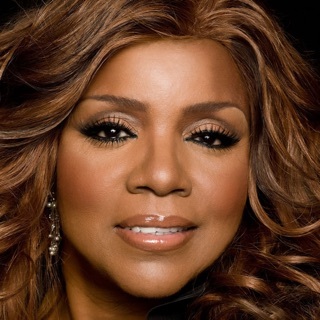 Houston appeared on the soundtrack of the disco-themed movie Thank God It's Friday in 1978, and she also released an album of her own, Ready to Roll, as well as a second collaboration with Jerry Butler, Two to One. Ready to Roll spawned a hit single, "Saturday Night, Sunday Morning," which also appeared in remixed form on 1979's Ride to the Rainbow. 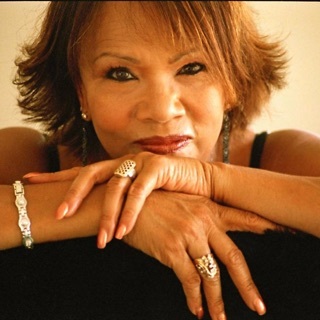 Houston parted ways with the Motown organization, and the following year she signed with RCA; her first album for her new label was 1980's Breakwater Cat, which reunited her with Jimmy Webb, who was executive producer for the project and contributed five songs. Her next LP, 1981's Never Gonna Be Another One, featured two tracks that scored on the dance/club charts, "If You Feel It" and a cover of "96 Tears," but she left RCA to return to Motown for her next album, 1982's Reachin' All Around. Houston jumped to MCA Records for two albums, 1983's Thelma Houston and 1984's Qualifying Heat, but spent most of the decade focusing on live work and acting, appearing on the TV shows Faerie Tale Theatre, Cagney & Lacey, and Simon & Simon as well as the 1988 remake of the movie ...And God Created Woman.